Diamond Bath Towel shines with metallic gold luxury in your bathroom! 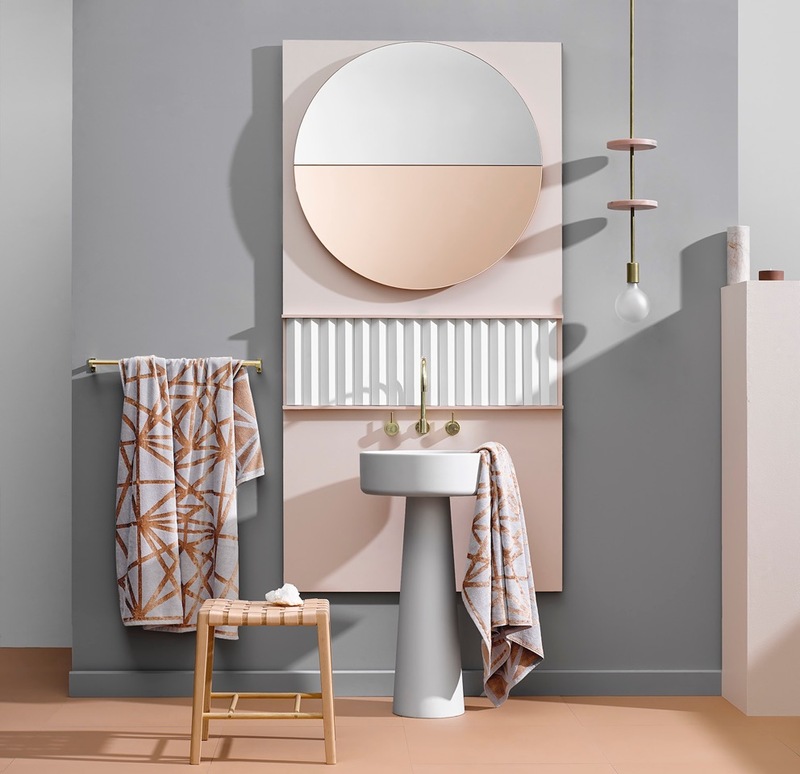 Ninnho’s unique towel designs are inspired by Ninnho designer and artist Antoinette Ferwerda. The Diamond Bath Towel has a graphic pattern inspired by the artist’s interest in precious stone formation and fractals. The Diamond Bath Towel is woven with gold modal and pale grey cotton to feel silky soft and provides superior absorbency to standard cotton terry towels. A timeless colour palette in warm gold and gorgeous pale grey, the Diamond Bath Towel is your daily bathing luxury. The Ninnho Diamond Bath Towel shines with metallic gold luxury in your bathroom.